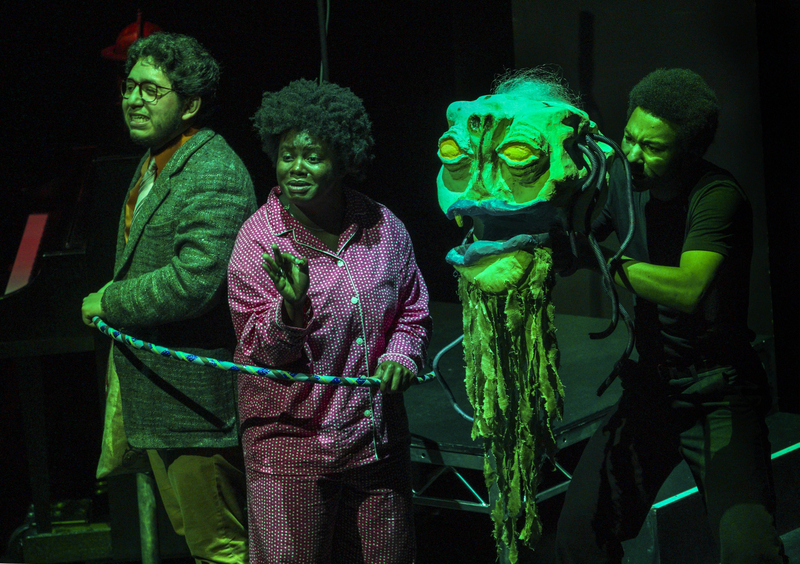 This is a theatrical puppet I made for the recent production of The Hitchhiker's Guide to the Galaxy by the Wallis Studio Ensemble. Prostetnic Vogon Jeltz of the Galactic Hyperspace Planning Council! 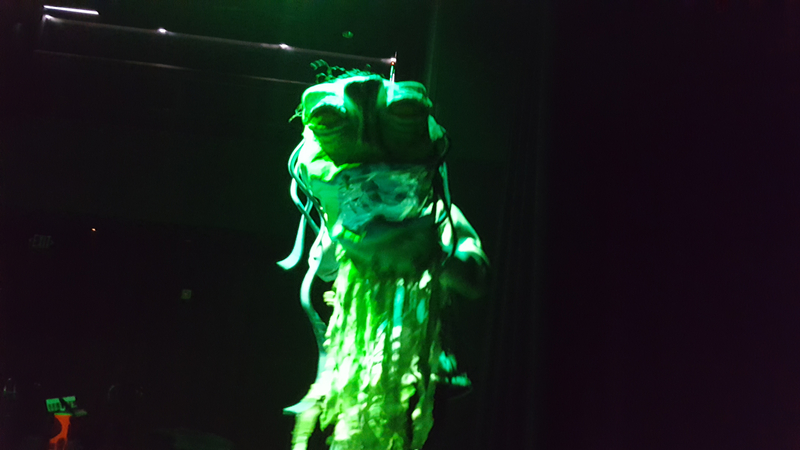 This alien is the ultimate sluggish beurocrat, the head complimented by the puppeteer's own stylized, sluggish body movement. 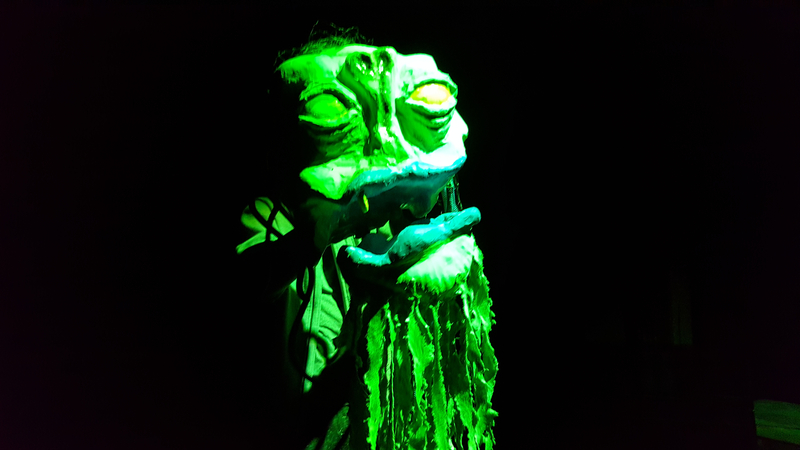 Mixed media hand puppet, base carved out of polystyrene foam.